Wind turbines catch the wind’s energy with their propeller-like blades, which in turn are mounted on a shaft to form a rotor. At 100 feet high tower they can take advantage of the faster and less turbulent wind and capture the most energy. When the wind blows, a pocket of low-pressure air forms on the downwind side of the blade which then pulls the blade towards it, causing the rotor to turn also known as lift. The force of the lift is much stronger than the wind’s force against the front side of the blade, which is called drag. The combination of both lift and drag causes the rotor to propel and the turning shaft spins the generator to produce electricity. Wind turbines can be used as stand-alone applications, or they can be connected to the power grid and even combined with a PV system. For utility-scale projects, a large number of wind turbines are usually built close together to form a wind farm. Many utility providers in countries with abundant wind supply use this technology to supply power to their customers. Stand-alone wind turbines are also used for water pumping or communications. 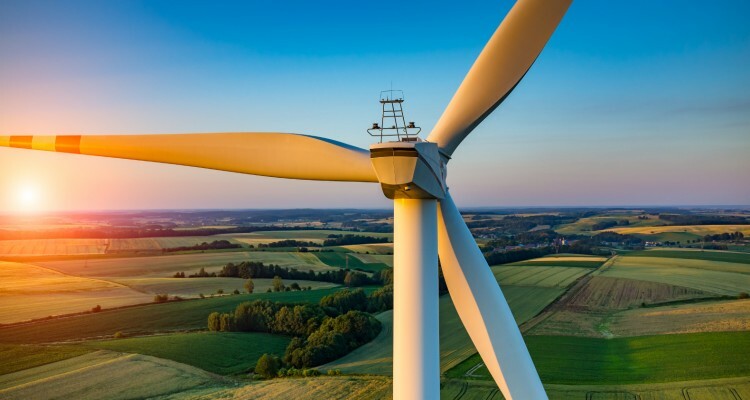 Although this source of energy has had limited scope in the Middle East, given improvements in technology wind turbines are now being designed to capture lower wind speeds between 5.5 and 7 metres prevalent in the UAE. Small wind systems also have potential as distributed energy resources comprising of a variety of small, modular power-generating technologies that can be combined to improve the operation of the overall electricity delivery system. Stay tuned for our next post which will cover waste-to-energy! As always, we love to hear your comments … so do drop your thoughts below.